We are key ring wholesaler with factory direct bulk packed low price. 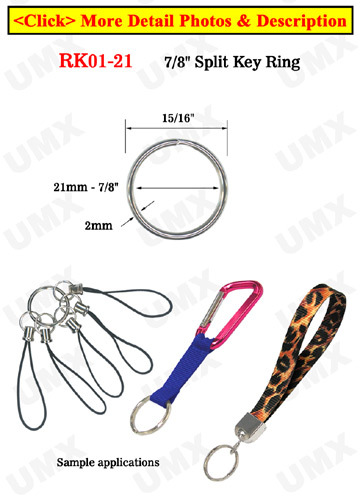 The 7/8" bulk wholesale key rings are steel split rings for lanyards or webbing. They are great hardware fastener for your straps, keys, small accessories, tools and lanyards etc.